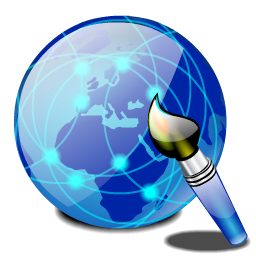 Since 1997, our Internet related Services have assisted our clients to reachout globally through effective web-presence. Our web designing and hosting packages are custom made to suit specific individual client requirement. At ASCENT, we provide important services that immediately enable you/your company to reap the many benefits that the Internet has in store for you. Much with our belief of "the quality of the product is as good as the inputs that go in building it", we recommend that before planning a web presence you must decide your strategy to identify your goal from the web presence and then delegate the work on it to ensure a positive response. We register domain names, provide webspace, setup email solutions and design websites, thus providing all Web/Internet related services under one roof. This is the first step to take towards building an effective presence on the Internet. You must choose your domain name and extension appropriately such that it reflects your brand name OR Product OR Services appropriately enough to be "catchy" and easily identifiable. Once you have your domain name registered, you need to purchase webspace and have your website designed and loaded in order to have the online presence complete. Do note that since your domain name is a unique global identifier, you must register it at the earliest so that you have an advantage over your competitors vying for a similar name. We register domain names under all available extensions (TLDs) like: ".com/.net/.org" and Indian specific ones like: ".in/.co.in" etc. Typical minimum tenure for any domain name is 1 (One) Year, however, we highly recommend to register it for atleast 5~10. Get in touch with us NOW to begin your online journey! Click to email us your requirement! This is your logical next step on the Internet. To build an effective website, we understand the long term and short term goal or target that our clients wish to achieve from their online presence. Based on this fact and after thorough understanding of their products OR services OR content, we get to our drawing boards charting out an effective plan to deign the site. We do accept client preferences for the style and look and at the same time, we offer suggestions to enhance their presence and functionality on the Internet. Based on the profile of data to be presented online, we offer a choice of plain HTML to a completely Flash driven website with gripping multimedia as the job demands. We offer copywriting services as an added value to ensure your ideas are well read! For your online presence to be complete, you need the "virtual" space to upload your designed website data in order for the visitors to access them. Depending on the size in MB (OR GB as the case may be) of the designed site and the number of email ids required alongwith their mailbox size requirement, the space for your online presence is allocated and thus setup. We are resellers to well established and prominent web hosting companies having their network with International dataserver facilities as well as the national gateway and Internet service provider, VSNL. We can thus offer competitive web space and hosting packages for either a dedicated co-located server OR virtual sace on shared servers as per requirement. As soon as your online presence is complete, i.e. your website has been uploaded and launched, it would be imperative to "announce" to the world that your company and thus your website 'exists' with the products or services you wish to sell. Only on viewership of your website and its contents, will your products and services get an audience. Thus it is important to "market" your website through online and offline(if necessary) means. 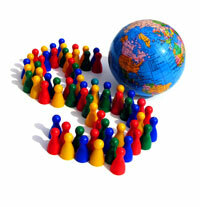 The online mode is called Web Marketing. This includes SEO (Search Engine Optimisation), banner advertising through popular search engines and sites, subscription of tools offered by search engine sites for click/advt, etc. On understanding your goal and timeline, we suggest one or more of these modes to go ahead. With our Web Marketing services, we assist you to market and gain recognition amongst your potential customers. 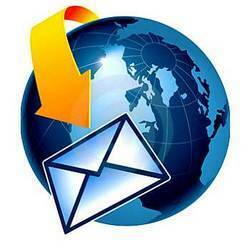 Email has been the most widely used and effective medium on the Internet! It is popularly called the "killer-app" of the Internet! Once you have your website active and online, you would receive communications from the visitors through email. It is highly important to reflect your website name as your email id in order to generate the trust and confidence of visitors to your site. Depending on the number of email ids required by your organisation, a suitable package can be sought. We setup POP3/SMTP as well as web based email accounts for every employee within your organisation with your registered domain name. This is a must for large organisations wanting to effectively communicate within their office and branches. a. Fixed Costs: Cost of developing the website for the first time is a Fixed cost. b. 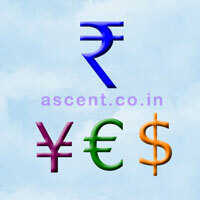 Annual Costs: The Domain Name registration and the webspace allocated with it are annual costs. c. Recurring Costs: The costs to perform SEO, web marketing, click/advt and updating your website are some recurring costs that one must be aware of. Costs for Webspace range from INR2500 for a basic space and may go up as per the demand for webspace and features required. Costs for Webdesigning: Just as no two organisations/companies, or their employes/clients are alike physically or functionally, similarly no two web sites/pages should be alike. Each has a unique product / service / concept to introduce or sell. 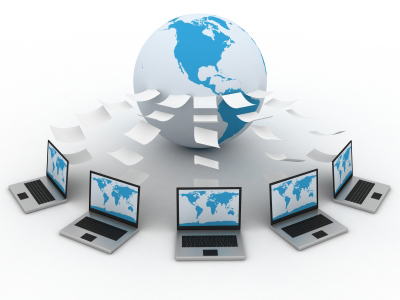 Hence we prefer to give you a costing of the web services we provide depending on your specific requirements.